Her Majesty's Theatre is a West End theatre situated on Haymarket in the City of Westminster, London. The present building was designed by Charles J. Phipps and was constructed in 1897 for actor-manager Herbert Beerbohm Tree, who established the Royal Academy of Dramatic Art at the theatre. In the early decades of the 20th century, Tree produced spectacular productions of Shakespeare and other classical works, and the theatre hosted premieres by major playwrights such as George Bernard Shaw, J. M. Synge, Noël Coward and J. B. Priestley. Since the First World War, the wide stage has made the theatre suitable for large-scale musical productions, and the theatre has accordingly specialised in hosting musicals. The theatre has been home to record-setting musical theatre runs, notably the First World War sensation Chu Chin Chow  and the current production, Andrew Lloyd Webber's The Phantom of the Opera , which has played continuously at Her Majesty's since 1986. Haymarket is a street in the St. James's area of the City of Westminster, London. It runs from Piccadilly Circus in the north to Pall Mall at the southern end. It is the location of a variety of restaurants, the Theatre Royal and Her Majesty's Theatre, a cinema complex, and New Zealand House. The City of Westminster is an Inner London borough that also holds city status. It occupies much of the central area of Greater London including most of the West End. Historically in Middlesex, it is to the west of the ancient City of London, directly to the east of the Royal Borough of Kensington and Chelsea, and its southern boundary is the River Thames. The London borough was created with the 1965 establishment of Greater London. Upon its creation, it inherited the city status previously held by the smaller Metropolitan Borough of Westminster from 1900, which was first awarded to Westminster in 1540. The theatre was established by architect and playwright John Vanbrugh, in 1705, as the Queen's Theatre. Legitimate drama unaccompanied by music was prohibited by law in all but the two London patent theatres, and so this theatre quickly became an opera house. Between 1711 and 1739, more than 25 operas by George Frideric Handel premiered here. In the early 19th century, the theatre hosted the opera company that was to move to the Theatre Royal, Covent Garden, in 1847, and presented the first London performances of Mozart's La clemenza di Tito , Così fan tutte and Don Giovanni . It also hosted the Ballet of her Majesty's Theatre in the mid-19th century, before returning to hosting the London premieres of such operas as Bizet's Carmen and Wagner's Ring Cycle . Sir John Vanbrugh was an English architect and dramatist, perhaps best known as the designer of Blenheim Palace and Castle Howard. He wrote two argumentative and outspoken Restoration comedies, The Relapse (1696) and The Provoked Wife (1697), which have become enduring stage favourites but originally occasioned much controversy. He was knighted in 1714. 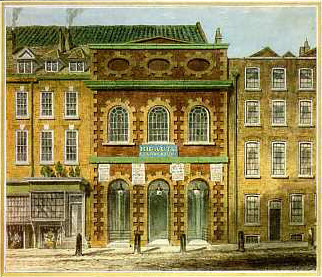 The patent theatres were the theatres that were licensed to perform "spoken drama" after the Restoration of Charles II as King of England, Scotland and Ireland in 1660. 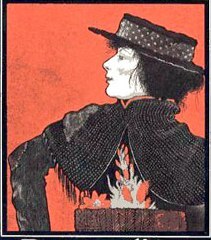 Other theatres were prohibited from performing such "serious" drama, but were permitted to show comedy, pantomime or melodrama. Drama was also interspersed with singing or dancing, to prevent the whole being too serious or dramatic. English Heritage is a charity that manages over 400 historic monuments, buildings and places. These include prehistoric sites, medieval castles, Roman forts and country houses. The charity states that it uses these properties to ‘bring the story of England to life for over 10 million people each year’. The United Company was a London theatre company formed in 1682 with the merger of the King's Company and the Duke's Company. The Kit-Cat Club was an early 18th-century English club in London with strong political and literary associations, committed to the furtherance of Whig objectives, meeting at the Trumpet tavern in London, and at Water Oakley in the Berkshire countryside. 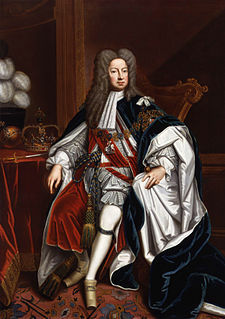 Thomas Patrick Betterton, the leading male actor and theatre manager during Restoration England, son of an under-cook to King Charles I, was born in London. Oscar Asche in Chu Chin Chow . Its record-breaking run of 2,235 performances at the theatre began in 1916. The facilities of the theatre naturally lent themselves to the new genre of musical theatre. Chu Chin Chow opened in 1916 and ran for an astonishing world record 2,235 performances  (almost twice as long as the previous record for musical theatre – a record that it held until surpassed by Salad Days in 1955). Major productions of plays with large casts were also performed at His Majesty's. George and Ira Gershwin's Oh, Kay! had its London premiere on 21 September 1927. This starred Gertrude Lawrence and John Kirby, and ran for 213 performances. Noël Coward's operetta Bitter Sweet enjoyed a run of 697 performances beginning 18 July 1929. J. B. Priestley's theatrical adaptation of his own The Good Companions premiered on 14 May 1931. 1 2 Earl, John and Michael Sell. Guide to British Theatres 1750–1950, p. 117 (Theatres Trust, 2000) ISBN 0-7136-5688-3. Sadler's Wells Theatre was founded as a music room in 1683, and a theatre was built on the site in 1765. ↑ See List of compositions by George Frideric Handel for full details of performance of Handel operas at the Queen's and King's Theatre. There were a first and second Royal Academy of Music, directed by Handel, each formed for a limited period – hence the need for two. From 1734 the Second Academy had to fight off the rival Opera of the Nobility . These academies are not related to the modern Royal Academy of Music founded by Lord Burghersh in 1822. ↑ On Haydn's previous visit, the concerts had been presented at the Hanover Square Rooms with tremendous success. A sensation was caused during a Royal Court Ball at St James's Palace, when Haydn was greeted by the Prince of Wales with a noticeable bow. See Haydn Festival reference, below. 1 2 Holden, Amanda; Kenyon, Nicholas; Walsh, Stephen, eds. (1993). The Viking Opera Guide. London: Viking. pp. 891–905. ISBN 0-670-81292-7. 1 2 Holden, Amanda; Kenyon, Nicholas; Walsh, Stephen, eds. (1993). The Viking Opera Guide. London: Viking. pp. 1126–43. ISBN 0-670-81292-7. ↑ Edgecombe, Rodney Stenning. "Cesare Pugni, Marius Petipa, and 19th Century Ballet Music." Musical Times , Summer 2006. ↑ Ballet continued to be performed in London, but in the Music halls and theatres as interludes and endpieces. The most notable of these were the corps at the Alhambra, and its nearby rival, the Empire Theatre. 1 2 3 4 Historic England. "Her Majesty's Theatre (210129)". Images of England . Retrieved 28 April 2007. ↑ The Carlton Hotel, opened in 1899 by the chef Auguste Escoffier and hotelier César Ritz after they left the Savoy Hotel, introduced the à la carte menu. ↑ "RADA History". Royal Academy of Dramatic Art. Archived from the original on 26 January 2008. ↑ Nathan Bevan (12 April 2009). "Tommy Cooper's last act fooled us all, says Jimmy Tarbuck". Wales On Sunday. Archived from the original on 6 February 2013. ↑ Glendinning, Lee (3 May 2008). "Musical to return louder than ever". The Guardian. London. Retrieved 5 May 2008. Sir Trevor Robert Nunn, CBE is an English theatre director. Nunn has been the Artistic Director for the Royal Shakespeare Company, the Royal National Theatre, and, currently, the Theatre Royal, Haymarket. He has directed dramas for the stage, like Macbeth, as well as opera and musicals, such as Cats (1981) and Les Misérables (1985). The Theatre Royal Haymarket is a West End theatre on Haymarket in the City of Westminster which dates back to 1720, making it the third-oldest London playhouse still in use. Samuel Foote acquired the lease in 1747, and in 1766 he gained a royal patent to play legitimate drama in the summer months. The original building was a little further north in the same street. It has been at its current location since 1821, when it was redesigned by John Nash. It is a Grade I listed building, with a seating capacity of 888. The freehold of the theatre is owned by the Crown Estate. The Theatre Royal is a historic theatre, a Grade I listed building situated on Grey Street in Newcastle upon Tyne. Tolomeo, re d'Egitto is an opera seria in three acts by George Frideric Handel to an Italian text by Nicola Francesco Haym, adapted from Carlo Sigismondo Capece's Tolomeo et Alessandro. It was Handel's 13th and last opera for the Royal Academy of Music (1719) and was also the last of the operas he composed for the triumvirate of internationally renowned singers, the castrato Senesino and the sopranos Francesca Cuzzoni and Faustina Bordoni. Oreste is an opera by George Frideric Handel in three acts. The libretto was anonymously adapted from Giangualberto Barlocci’s L’Oreste, which was in turn adapted from Euripides' Iphigeneia in Tauris. Poro, re dell'Indie is an opera seria in three acts by George Frideric Handel. The Italian-language libretto was adapted from Alessandro nell'Indie by Metastasio, and based on Alexander the Great's encounter with King Porus in 326 BC. The libretto had already been set to music by Leonardo Vinci in 1729 and by Antonio Vivaldi among others and was used as the text for more than sixty operas throughout the 18th century. Dame Gillian Barbara Lynne, was an English ballerina, dancer, choreographer, actress, and theatre-television director, noted for her theatre choreography associated with two of the longest-running shows in Broadway history, Cats and The Phantom of the Opera. At age 87, she was made a DBE in the 2014 New Year Honours List. Ezio is an opera seria by George Frideric Handel to a libretto by Metastasio. Metastasio's libretto was partly inspired by Jean Racine's play Britannicus. The same libretto had already been set by many other composers first of all Nicola Porpora who managed to preempt the official Rome premiere of Pietro Auletta's setting for 26 December 1728 with his own version for Venice on 20 November, a month earlier. The libretto continued to be set and reset for another 50 years, including two versions of Ezio by Gluck. Handel's Ezio is considered one of the purest examples of opera seria with its absence of vocal ensembles. Giovanni Andrea Battista Gallini, later known as Sir John Andrew Gallini, was an Italian dancer, choreographer and impresario who was made a "Knight of the Golden Spur" by the Pope following a successful performance. Isabella Young was an English mezzo-soprano and organist who had a successful career as a concert performer and opera singer during the latter half of the eighteenth century. Young became particularly associated with the works of George Frideric Handel and was a favorite singer of the composer during the last years of his life. She was also a part of a well-known English family of musicians that included several professional singers and organists during the seventeenth and eighteenth centuries. Ann Hould-Ward is an American costume designer, primarily for the theatre and dance. She has designed the costumes for 19 Broadway productions. She won the 1994 Tony Award for Beauty and the Beast. Frederick John D'Auban was an English dancer, choreographer and actor of the Victorian and Edwardian eras. Famous during his lifetime as the ballet-master at the Theatre Royal, Drury Lane, he is best remembered as the choreographer of many of the Gilbert and Sullivan operas. Paul Pyant is a British lighting designer, whose designs have been featured in the West End, on Broadway and in opera houses around the world. He has been nominated for several Olivier Awards and Tony Awards, winning the Olivier in 2014 for his design for Charlie and the Chocolate Factory.